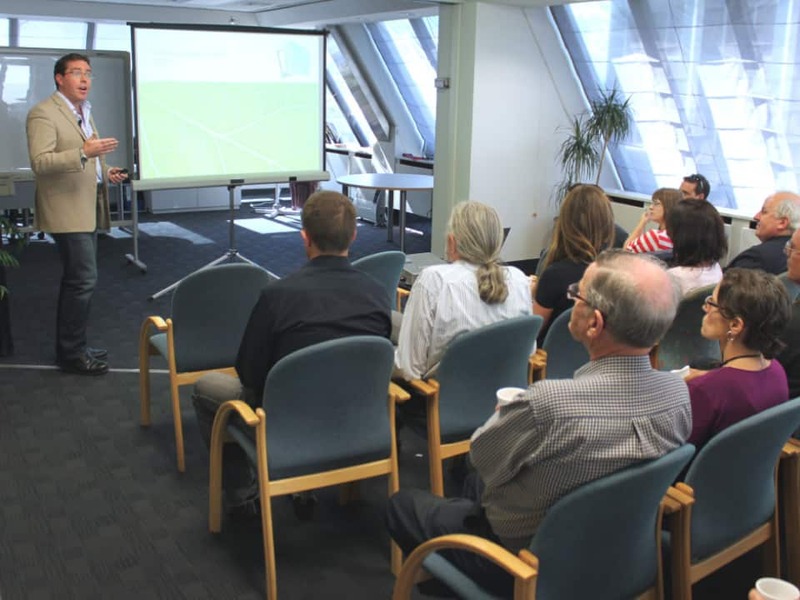 Fulbright New Zealand has implemented a successful monthly seminar series at its office in Wellington, giving grantees and alumni the opportunity to share their Fulbright experience and research with a network of alumni, field-specific contacts and interested public. 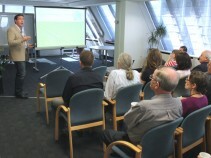 Three seminars have been held so far in 2013, with more scheduled for the last Friday of each month throughout the year. In February, Fulbright alumnus Michael Elmes from Worcester Polytechnic Institute (WPI) in Worcester, Massachusetts gave a seminar outlining how his time spent as a 2005 Fulbright US Senior Scholar at Victoria University of Wellington inspired him to propose that WPI set up a new international project centre in Wellington as part of its global perspective programme for undergraduate study abroad. Accompanying Michael on this year’s return visit to Wellington, and speaking alongside him at the seminar, were the project’s co-leader, Ingrid Shockey, and members of the first WPI student cohort to participate in hands-on project work with New Zealand government organizations and NGOs related to science, technology and society. 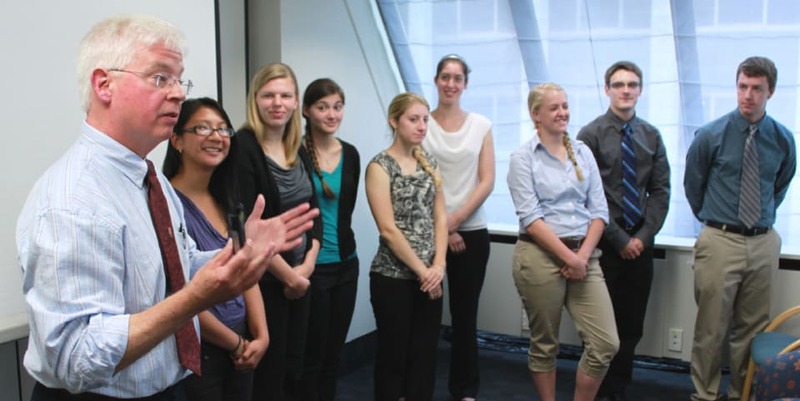 Two groups of students presented the results of research they had conducted for the Zealandia wildlife sanctuary and regional economic development agency Grow Wellington. In March, recently returned Fulbright-Harkness New Zealand Fellow Peter Griffin from the Science Media Centre reported on his exhaustive two month research trip across the US, during which he visited centres of excellence in public interest journalism including the Center for Public Integrity in Washington, DC, Propublica in New York and the Center for Health Reporting in Los Angeles. In April, current Fulbright US Scholar Kathy Fox from the University of Vermont gave a seminar on her research into the restorative re-entry of criminal offenders to the community, comparing practices in New Zealand with those in the US, and in particular her home state of Vermont. This new seminar series is proving popular, with near capacity crowds at recent events. Upcoming seminars are listed on the Fulbright New Zealand website as they are scheduled, and promoted on Facebook and Twitter. Any grantees or alumni who are interested in giving a seminar should contact the Fulbright New Zealand office.